HAVEN takes a holistic approach to supporting American honeybee populations by working toward a nationwide sanctuary of 1000 hives. This support will provide ideal, safe home environments where the bees can thrive with as few challenges as possible. This network will also provide a systematic means of monitoring large numbers of our country’s wild honeybee population. Funded by individual and institutional commissions, new Haven hives are showing up in public and private locations around Kansas City every year. With its wide range of weather conditions, dynamic public public spaces and supportive Parks Department, Kansas City has proven an ideal testing ground during the proof of concept phase of this long term project. 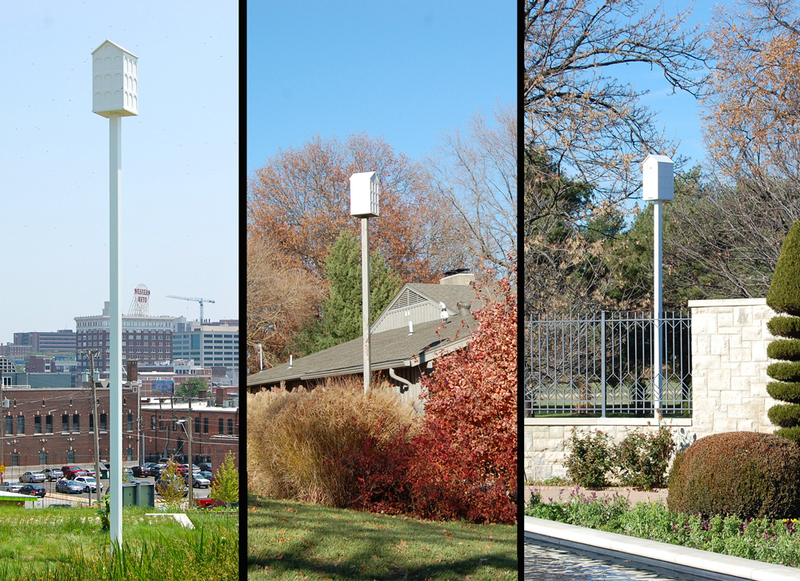 After Haven’s encouraging first three years in Kansas City we have begun to install in select demonstration sites in other cities.